Rapid house price growth and high debt levels mean Canada has a high chance of a correction, Oxford Economics says. Residential towers under construction near the SkyTrain station in New Westminster, B.C. A new study has ranked Canada's housing market as the third-riskiest in the world. "As safe as houses." That Victorian expression today reflects our society's widely-held view that a home is just about the safest investment you can make. But "safe" is not the same thing as "guaranteed." And a new study from Oxford Economics should give Canadians some pause for thought as to just how safe our overvalued housing markets really are. The study singles out Sweden, Australia, Canada and Hong Kong as places where housing market "dangers" are especially acute. "In all four, valuations are very elevated, there has been a lengthy housing boom, debt levels are high and there is a significant share of floating (variable) rate debt," lead economist Adam Slater wrote in the study. The study found Canada had among the most overvalued housing markets in the world, with prices at 173 per cent of their long run average. Only Hong Kong and New Zealand exceed that ratio. "This matters because high valuations are associated with a strong risk of future price declines," Slater wrote. 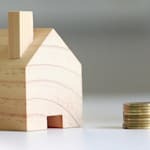 The study compared housing valuations across OECD countries between 1970 and 2013, and found that when prices rise more than 35 per cent above their long-run average, there is a 75-per-cent chance that they will turn negative within five years. When prices did drop, the median decline was 14 per cent, though in a third of all cases prices fell more than 20 per cent, Oxford Economics found. The research highlights a reality that many in Canada's housing markets today have long forgotten: That what goes up can also come down. It's been so long since the last housing bust in Canada that the young adults struggling to afford a condo in Toronto or Vancouver have no recollection of an era when house prices were falling. But in Toronto in the 1990s, house prices fell for seven straight years, and if you bought a house at the peak of the market in 1990, it would have taken you until 2008 before you could sell it for as much as you bought it for, adjusted for inflation. In fact, historical data shows that over the past half century, inflation-adjusted house prices in Toronto fell for about a third of the time. This chart of historic Toronto home values shows inflation-adjusted prices have fallen for about a third of the time since the 1950s. Of course, not everyone believes we are headed for a repeat. The recent rebound in nationwide sales has some declaring the end of the downturn. "Sales and prices should gain traction across most major markets as the year continues to roll forward, as the effects of the (new mortgage rules) fade away and economic growth bolsters demand," TD Bank economists Derek Burleton and Rishi Sondhi wrote in a recent report. But "stabilization should not be interpreted as the start of another strong rally," they warned. That's because mortgage rates are on the rise, and home affordability levels have reached their worst levels in a quarter century. Rebound or not, "the level of sales for the whole of 2018 won't be able to recover what has been lost in most markets," the TD economists concluded. All of which proves that even in Canada's long-booming housing markets, things eventually do change — and that may be the only fact that's safe as houses.